Captain Miscavige Turns 55, Has Chinese in Hemet – OTVIIIisGrrr8! 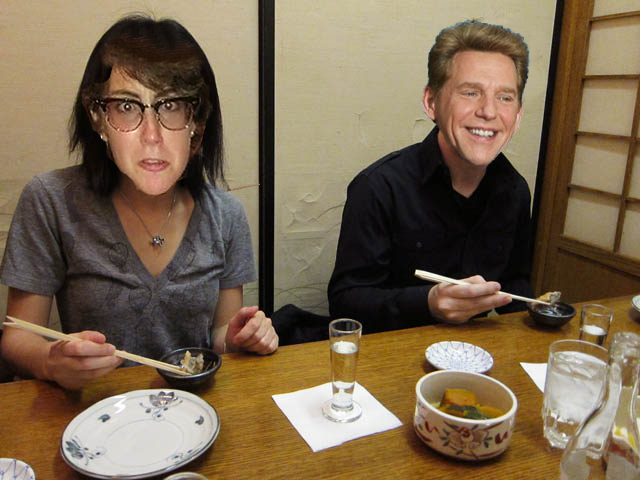 David Miscavige turned 55 today and had dinner at the China Palace in Hemet with WDC Chairman and his new vice-communicator Holotta Delusion, wife of Church spokesman Ken Delusion. When presented with the bill, Mr. Miscavige demanded, and was given, the 10% seniors discount. Fresh off his triumph of opening the nondescript and essentially unnecessary Basel Ideal Org, Mr. Miscavige’s future plans include spending time with his wog lawyers studying defenses to RICO. Tagged as: Bridge to Total Freedom, Church of Scientology International, COB RTC David Miscavige, David Miscavige, OTVIIIisGrrr8! Los Angeles Org Will Beat Any Advertised Clear Price! Tough New WDC Chairman to Smash in Ethics on the Church! glad he is not an Aries, but a stubborn Taurus! COB is a stubborn and ornery old goat. Holotta Delusion? I knew her when she was still Hollatta Malarkey. It’s fitting that the two iconic Scientologly families of Malarkey and Delusion would unite. WDC Chairman Holotta Delusion is also the step-sister of Bob Fumble, the OSA INT guy who was just busted to the RPF for failing to stop the release of Going Clear. I understand that now that COB is official AARP material, he now likes his little blue night-time niacin pills more than ever. You know, the ones that may cause four hour cognitions. I’ve also heard through the grapevine that COB and Lou are calling each other Smoochie and Love Mutton, Can anyone confirm those pet names? Wagging tongues around Hemet say Holotta Delusion is COB’s new girl and that Lou has been sent off on an extended special assignment. How dare you speak that way. COB Miscavige is and will always be faithful to his wife ummmm Shirley??? Stacey? Samantha? Oh right Shelly. Thank you for this. It was very funny. If you count his previous lives, he was always eligible for a senior discount.